Football is an enormous part of our country’s culture and tradition which is clearly visible with the popularity of the NFL as well to our varsity Trojans HS football team. 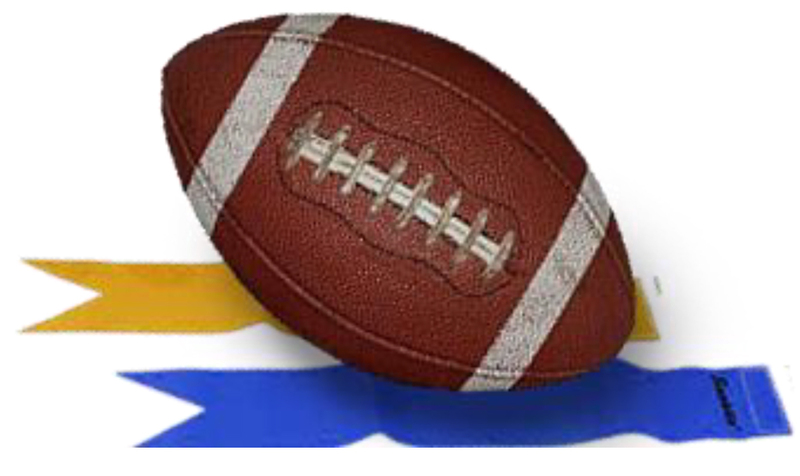 The Weston Flag Football program is designed to introduce our young athletes (grades 1-4) to the sport in a fun, safe and encouraging environment. The Weston Flag Football program offers a safe, fun and instructional program for youngsters to discover the sport of football as well as to teach basic football and athletic skills while also learning to be conscientious teammate. The program ensures all participants receive instruction and gain a deeper understanding of the game with a focus on self-confidence, resect and good sportsmanship. The Weston Flag Football program has experienced progressive growth in recent years and has become and excellent entry point to the Weston Trojans Youth Football Program. Weston's flag football program is part of Westport PAL's flag program for games on Saturdays to ensure a larger pool of teams. The league plays under the NFL flag football/USA Football rules, which is structured to maximize safety and fun. Registration takes place in the Spring. This is critical for setting up teams and training coaches. so the program can start right after Labor Day in the Fall. Fall registrants are squeezed onto teams if there is room, but a spot is not guaranteed. Ideally, flag team rosters will be about 10-12 players per team. To align with the others towns that make up the flag football league, grades 1 & 2 are combined and grades 3 & 4 are combined on their respective teams. Weston has usually fielded multiple teams at each level. Flag team practice begins after Labor Day. They are 1 ½ hours long and historically have been on Wednesday evening from 5:30-7:00pm at the Middle School Field. Flag practices will conclude at the end the season, which is typically the first week on November. Please note that like last year we plan on holding 2 “pre-season” practices prior to Labor Day, which are optional. Each flag team player will receive a football jersey, which they will keep. The cost of the jersey is included in the registration fee. Jersey sizing will be collected during the registration process. The following equipment MUST be purchase and brought to first practice in September. Athletic cup with strap or compression shorts - to be worn at all times during practices and games. Cleats: can wear the same cleats as soccer or lacrosse. Cleats are safer on wet grass and recommended but are not required by FCFL. Flag football games are played on Saturday mornings; arrival time of 7:30am for warm-up and games “kick-off” at 8:00am sharp. Games are played both in Weston and Westport. Please note: football is played in the rain. Games will be called in the event of downpours, lightning and unsafe playing conditions due to a saturated field. Games are played in Westport locations and at the Weston Middle School field.